The Apollo Valves 70-100 Series Ball Valve is the most widely used general purpose bronze ball valve in the industry. Trusted performance with a wide range of options. 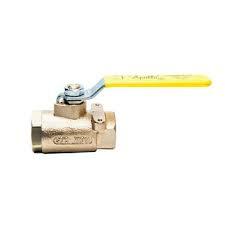 The Apollo Valves 76-100 Series Ball Valve is a stainless steel ball valve with mounting pad. 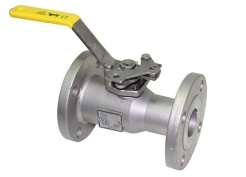 The Apollo Valves 73A-100 Series Ball Valve is a carbon steel ball valve. The Apollo Valves 87A-100 Series Ball Valve is a stainless steel ball valve. The Apollo Valves 88A-100 Series Ball Valve is a carbon steel ball valve. The Apollo Valves 94ALF-A Lead Free* forged brass ball valve combine reliable operation with maximum economy. Now with multi-agency approvals, the 94ALF-A is ideal for gas, fuels, fire protection and general plumbing and HVAC applications including potable water. Valves are ANSI 3rd party Lead Free* certified. * LEAD FREE: The wetted surfaces of this product shall contain no more than 0.25% lead by weighted average. Complies with CA AB1953, VT Act 193, MD HB372, LA HB471 and Federal Public Law 111-380. ANSI 3rd party approved and listed. 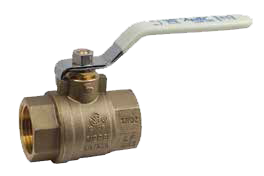 The Apollo Valves 77-100 Series Ball Valve is a Full Port, Two-Piece, Bronze, Ball Valve with mounting pad. The Apollo Valves 71 Series Ball Valve is a standard port bronze ball valve with direct mounting pad. It is made from proven ASTM grade materials for long service satisfaction. The Apollo Valves 7K-100-SV Series is a full port ball valve with mounting pad and drain. The Apollo Valves 32-100 Series is an economy NPT threaded Regular Port Bronze Ball Valve featuring a proven ASTM grade cast bronze body for durability and superior corrosion resistance.